Description Pinholes. 706 4th St.; library constructed 1962. 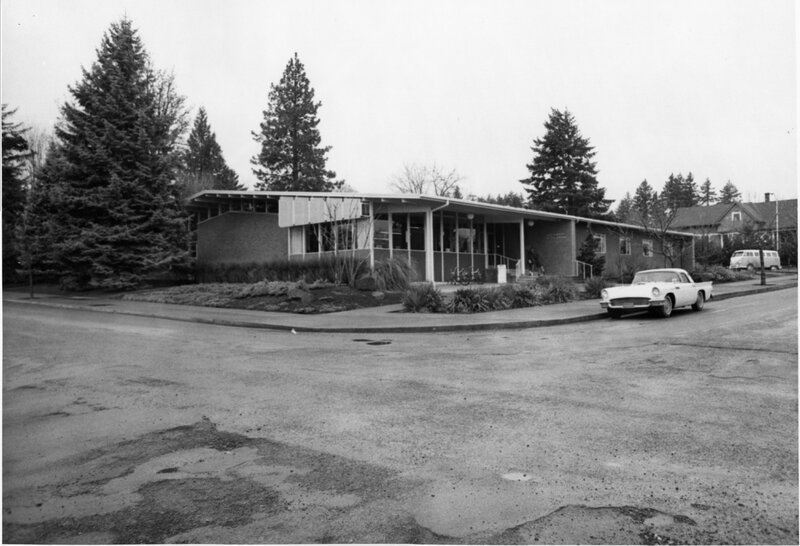 [Display caption]: 1960 - A fund raising campaign for a bulding fund brought in $37,000 in pledges and gifts and voters approved a bond issue of $110,000 to construct a new library. Physical Description H 5" x W 7"